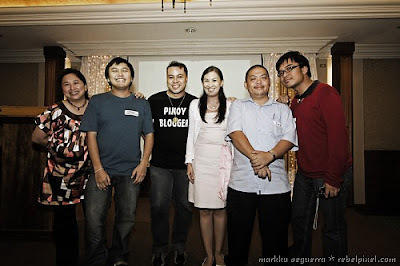 Being one of the not-so-rookie blogggers among the crowd, it was nice to see a good mix of both newbies and oldies launching new projects that prove to be relevant and influential for today's blog readers. With blogs now recognized as a vital tool in cascading information to almost everyone, it is now the time to use our influence to spawn learning and positive growth, like how You Got Tech strives to be the tech resource for the non-techie. Now you might be wondering what I'm doing writing for this wonderful blog. I'm markku of rebelpixel.com and you've probably seen me in one of our recent blogger events, or you might have come across my (semi-static) blog in the past. 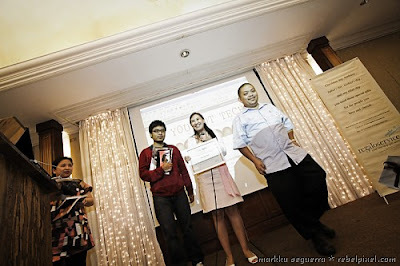 Technically, I've always been a part of the YGT team though this is my first post, and this is not even a tech-related entry for the non-techie. In the coming weeks though, you should be hearing more from me with information just for you! Oh, here's the rest of the photos. 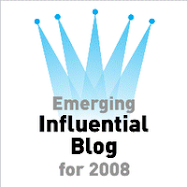 It is with deep gratitude that we would like to extend our heartfelt thanks for all those who included You Got Tech in their Top Ten Emerging Influential Bloggers choices. 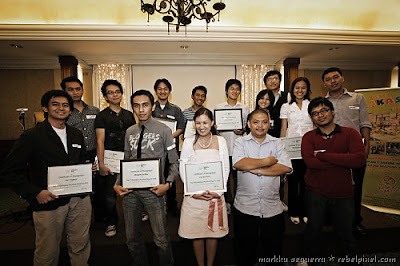 You Got Tech was recognized as one of the Top Ten Emerging Influential Blogs of 2008. Woohoo!!! I would also like to thank all the other contributors of You Got Tech for the time and effort they give to make posts for our non-techie readers. It is with great pleasure that we would continue to share information about techie stuff and hope that we would help educate more people (and make them internet addicts) in our own little way. Woot! Woot!!! 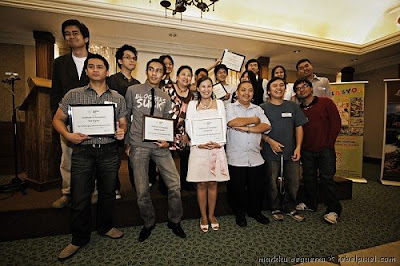 Here's a snippet of the recognition ceremonies of the Top 10 Emerging Influential Blogs of 2008 held at Legend Villas Hotel (ceremonies sponsored by Legend Hotels International, Slycesoft Games Development and YesPayments.com). I've always wanted to learn more about open source. I had my briefing a few months ago from the team that handles "those stuff" from where I work. I was quite ashamed to ask questions since I really have little knowledge about it, much less know anything about the tech-side of it, but ya-know, you'll never learn anything unless you ask. When George (my trusty ol' desktop PC) died on me a few months ago I had to hunker up and get something working for Miguel so he can go online. I had T-rex (a 9-year old PC) in comatose in his room. The PC was left neglected and unused, but I knew it was working. With some help from JayDJ we got it working and running on Ubuntu (actually he did 99.5% of the job and my 0.5% contribution was getting him water haha). I'm not shy to ask for help whenever I need it and because of that I had the privilege of meeting some of the Ubuntu legends in our country. Let's not reveal who they are first, lest I fail in this attempt of mine to educate myself on using open source tools. 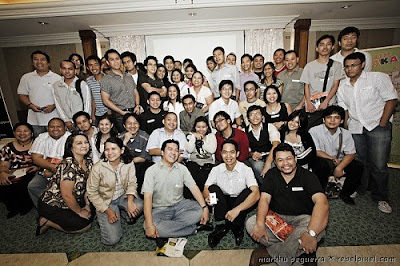 But the rumored Ubuntu godfather in the Philippines was the one who issued me this challenge. I know I'm behind schedule with this 30-day challenge issued to me. I'm actually 9-days behind schedule and it's a good thing that T-rex' harddisk died on us. I got a little help from JayDJ to replace the HD with his extra 30-GB HD, but now I'm on my own to get the system up and running. And this is where the 30-day Ubuntu challenge begins. JayDJ replaced T-rex' HD. Mind you T-Rex is a very old PC (I have to confirm the specs with JayDJ heh) and it's quite slow. The Ubuntu version that I have is Ubuntu 7.10 which we downloaded when it was first installed on T-rex. Burned it on a CD. I heard that this version is much more stable than the new one, plus my PC is OLD that's why I'll be using this still. Anyway, I successfully managed to start installation, but it kept failing. Apparently we had to fix some stuff in the CMOS because of the HD. I had JayDJ fix it up and proceeded with installation, BUT it kept hanging and it's almost 1 a.m. already, so I think I give myself an F for eFfort for today. I have 2 PCs to work on anyway. Heh. Will try again tomorrow! Gah!